I was sent this cell phone holder for free in exchange for my honest review. I am having a little trouble deciding on how many stars to give this phone holder on my Amazon review and here on my blog. I had quite a bit of trouble getting the phone holder to stick to my dashboard. I removed the sticky gel pad and flipped it over to see if the other side was more sticky. As it turns out it was more sticky. I was able to get the phone holder to stick to my dash. YAY! I check it the next day and it seemed like it was stuck pretty good. I drove around and did a few errands and it stayed in place and was very useful. There are two groves in the holder where you can adjust the tilt of your phone or GPS. You can do this easily with one hand as stated in the description on Amazon. My iPhone 6 Plus with a case fit perfectly in the phone holder. My case makes my phone too big for some other cell phone holders I have tried. So, that is a plus that my phone fit. I didn’t have much luck with removing the holder from my dash and t getting it to stick to the dash again. I washed it water, like suggested, and it still would not stick. I wiped it really well with an alcohol wipe and it still was not going to stick to my dash again. But, I really like using the cell phone holder in the house on my desk or my nightstand, anywhere I want to stand my phone up. This is very convenient for using FaceTime or Tango. I like watching YouTube videos etc, and I can do that hands free, and still be able to see the screen. So this is my dilemma. As a car dashboard cell phone holder I would have to give a low star rating. 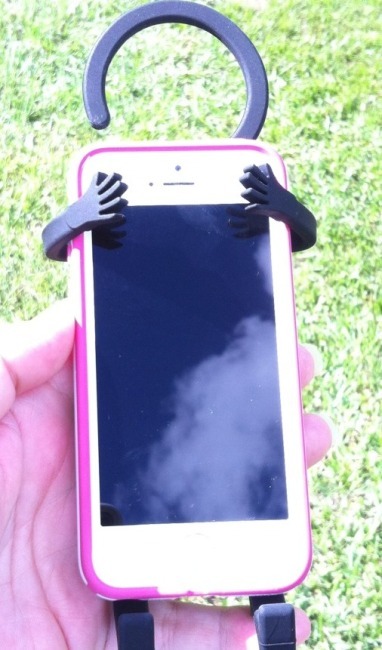 As a phone holder where is doesn’t have to use the sticky gel, it’s great. Since this review is for a dashboard car mount I will have to go with the 2 stars. Can stick on plastic, metal, glass, rubber, silicon, etc. The suction cup on my GPS won’t stay stuck to my windshield anymore and falls off while I am driving, and usually scares me to death. I was thrilled when the opportunity to review the Sticky Suction Car Mount by iGotTech came around. The description says that it can hold cell phones, navigators and tablets. So I thought I would give it try with my GPS. I was hoping the super vacuum suction base would stick to my dashboard, so I could sit my GPS on the dash instead of blocking some of my view by putting it on the windshield. The suction base would not stick to my dashboard at all. I even tried the dash in another car that had more of a flat surface and it would not stick there either. So I had to stick it to the windshield. There is a lever/button on the base that you lift up and push back down to create a tight suction with the base. The base of the car mount has no problem sticking to glass and is quite secure. I stuck my GPS to the sticky pad and positioned it where I could see it clearly. Just a few seconds later the GPS fell off the sticky pad! So I tried to stick it again. It felt like it was stuck on securely, and the sticky pad was very sticky, but it fell off again. I brought it inside and washed the sticky pad with water as directed on the package and let it air dry. I tried sticking the GPS a few more times with the same result… it kept falling off. I guess the weight of the GPS is just too heavy. The GPS sticks for a few seconds and then falls off the sticky pad. 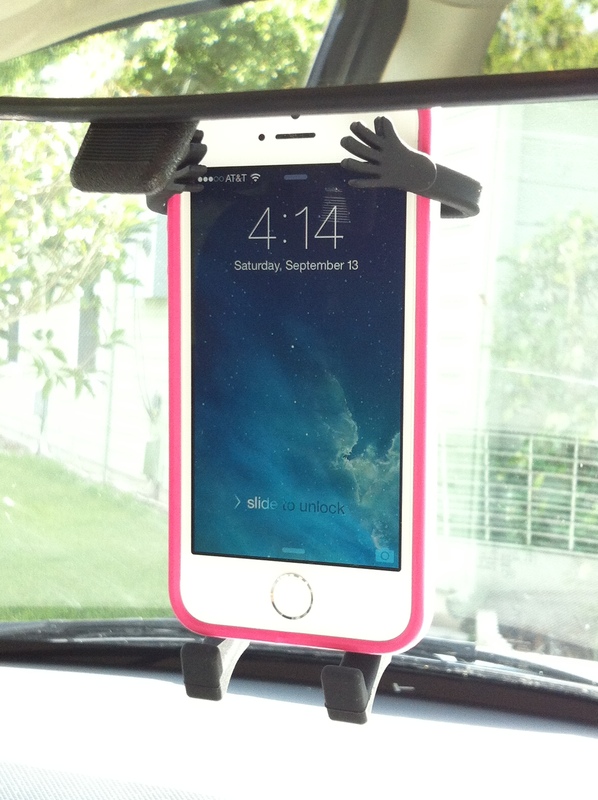 The Sticky Suction Car Mount holds my cell phone when in the horizontal position, but not so much when vertical. When I place my phone vertically some of the sticky pad overhangs and I guess it doesn’t get a good solid contact and the phone falls within a minute. 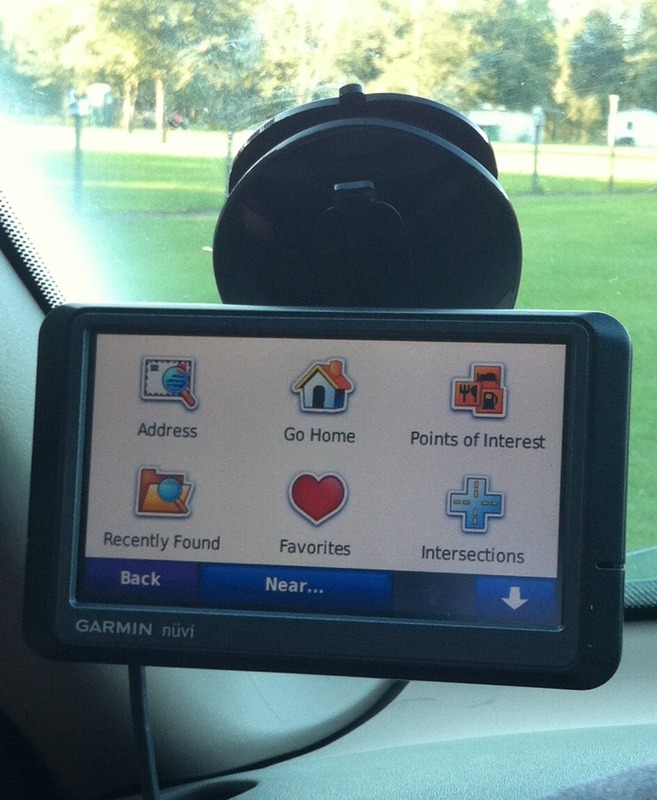 My phone has a GPS app I can use, but I really wanted something that would hold my old Garmin GPS that is so much easier to see and use. I also tried using an iPad since it says you can use a tablet. The iPad fell off too. All in all the suction cup sticks to the windshield and it will hold my iPhone in the horizontal position. The 360° rotating arm is easy to use. 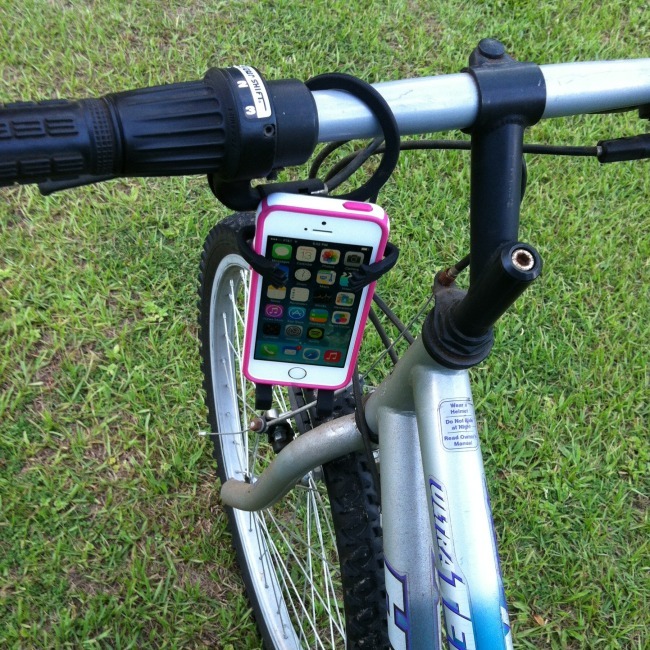 I went for a bike ride today and used my SiliGuy Flexible Cell Phone Holder to attach my phone to my bike handlebars. I like to use an app on my phone to see how far I have been and the pace I have ridden my bike. I didn’t have pockets to put my phone in and with the Siliguy I can see my phone and hear when the app gives me my workout updates. SiliGuy is a flexible little guy that will hold your cell phone for you when you can’t. It has flexible arms and legs that can adjust to your cell phone size or even a GPS or other small handheld device you are using. The “head” or hook at the top can be adjusted to fit what you are hanging it from too. It does not have to be permanently installed with a sticky adhesion or suction cup, so when you are finished you just unhook it and take it with you to the next location and with the flexible head/hook attach it again. I like to use the GPS on my phone when driving to places I am not familiar with and SiliGuy is great for holding my cell phone where I can easily hear it and view the directions. I love using my SiliGuy Flexible Cell Phone Holder because it is convenient and easy to use and the possibilities are endless. It makes a great gift idea and has a one year guarantee.